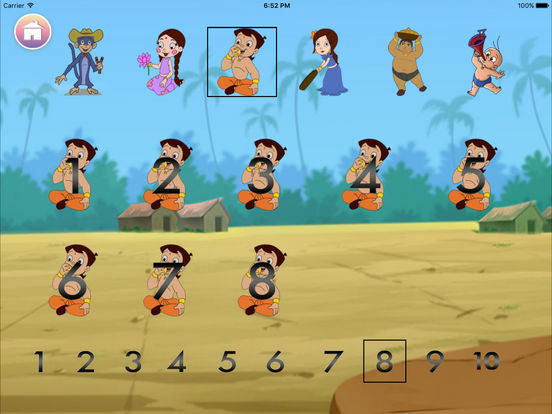 This app teaches Numbers using Chhota Bheem and his friends to young kids in the age group of 1 year to 5 years in a fun and entertaining manner. This app teaches numbers in both English and Hindi. 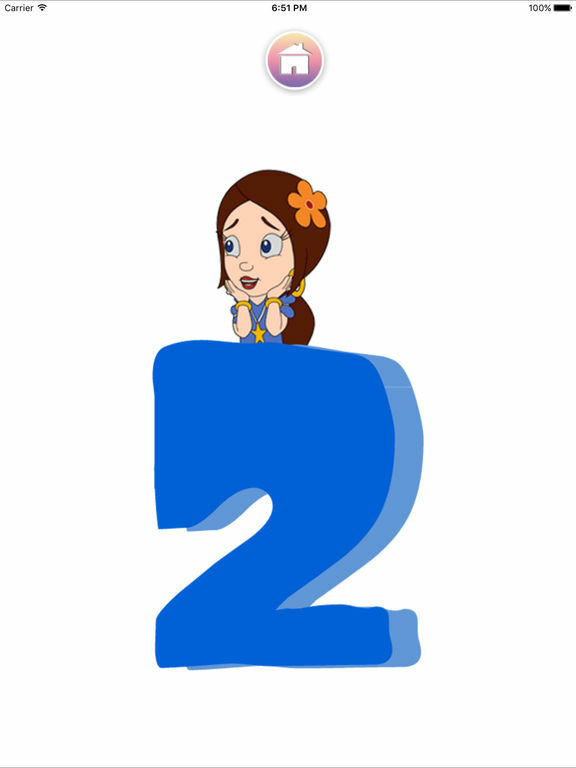 Number Recognition: This helps kids learn and recognize numbers and helps them to draw over the numbers and practice them in a fun approach. 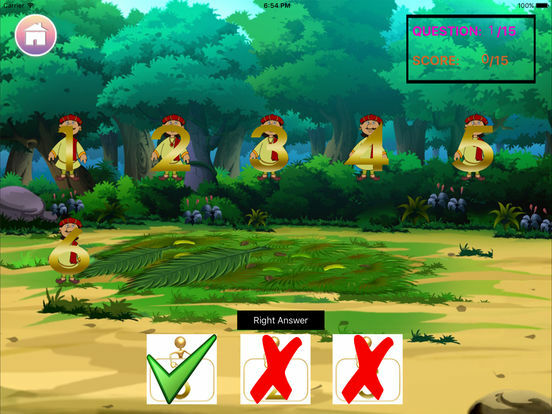 Multiple Images: In this, a kid can select their favorite Chhota Bheem character and make him appear multiple number of times. Children can learn in a fun way. 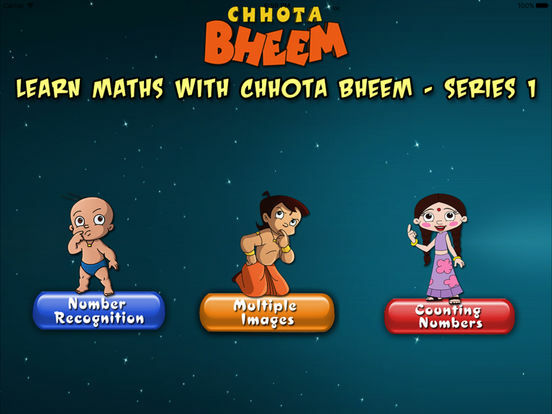 Counting numbers: In this, different Chhota Bheem characters will appear and the kids need to count the number of times they appear and then select the correct answer. Correct answers are greeted with encouraging applause, incorrect attempts are provided a correction identifying the number.